If you have been invited to a wedding, the first thing that comes to your mind is a dress. What to wear to look classy and flaunt your style? Indian wedding is a gala affair and your outfit should reflect the same. Whether it is a traditional dress or western wear it should show modesty, your dress should be bright and colorful. Avoid white or black as these colors are considered bad and bring ill luck. Your clothes should not be skimpy and too much revealing. Avoid wearing red as it the color of the bride and it’s her day so keep yourself away from the limelight. Along with a perfect dress, you will need a pair of jhumkas, headpiece or tikka, necklace or chain with bangles. 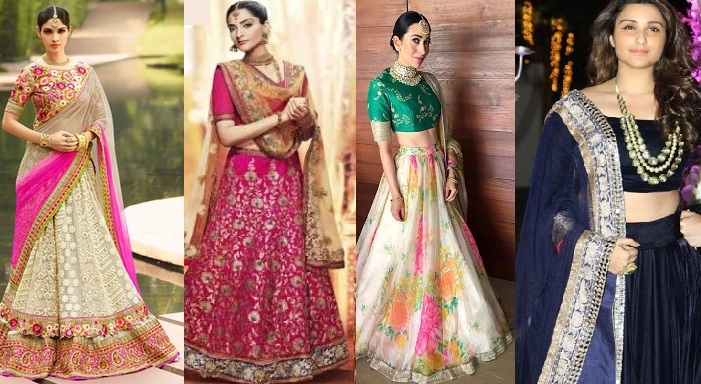 Here is our roundup of the best dresses you can wear to an Indian wedding. 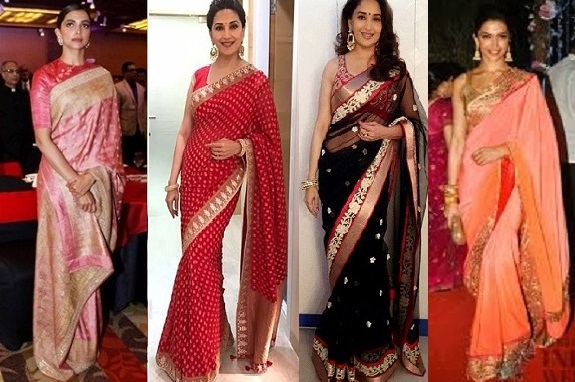 Saree is one of the most worn dress in India among women. Day to day wearing sarees are simple but you can get a variety of silk and embroidered saree for wedding functions. A nice silk, chiffon or georgette saree will give you a nice festive outfit to wear for the wedding. 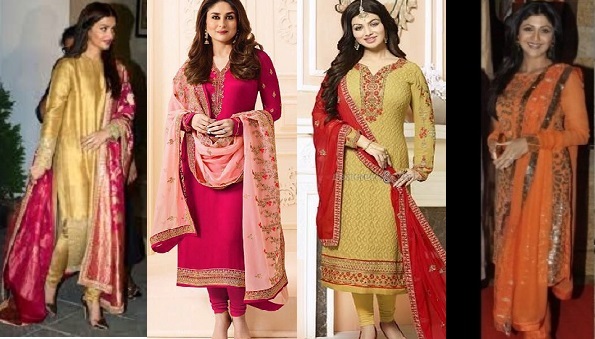 A suit is one of the most comfortable dress in India and women prefer to wear suits than sarees these days. 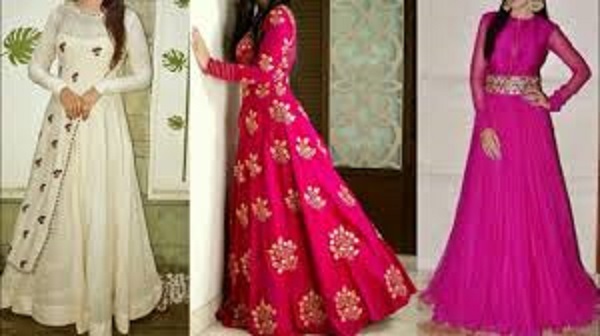 Kurta Salwar along with dupatta make a unique dress which can be made to look more beautiful with a lot of embroidery work. Lehanga is always a festive and occasional dress. It is a combination of a cropped top with a full circle skirt and scarf. Bride prefers to wear lehenga over saree and they can be made beautiful and heavy with a lot of embroidery work. Guest at a wedding can choose to wear from a heavy to simple yet elegant lehenga. 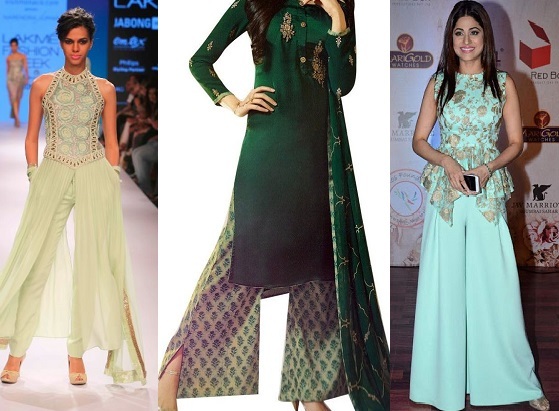 Sharara is a two-legged skirt, it is a trend that has been originated through the era of nawabs. In Islam wearing sharara in a wedding is a normal affair. 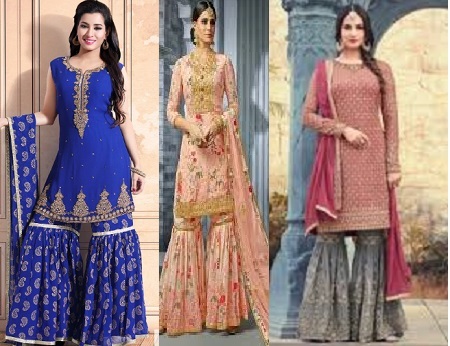 Nowadays, sharara is gaining trend as a wedding wear and is loved by all. Evening Gowns is worn in every occasion throughout the world. A ‘Gown’ is a typically free-flowing long women’s attire. The beauty of a gown is worth admiring as it brings about the true beauty of a feminine form and the essence of a woman. Now designers are making gowns as Indo-Western wear which you can wear in Indian weddings. Since the arrival of Palazzo pants in the fashion world, it is becoming the most worn dress in every festive. You can pair your palazzo with a long kurta or a short blouse and it will just add grace to your beauty. 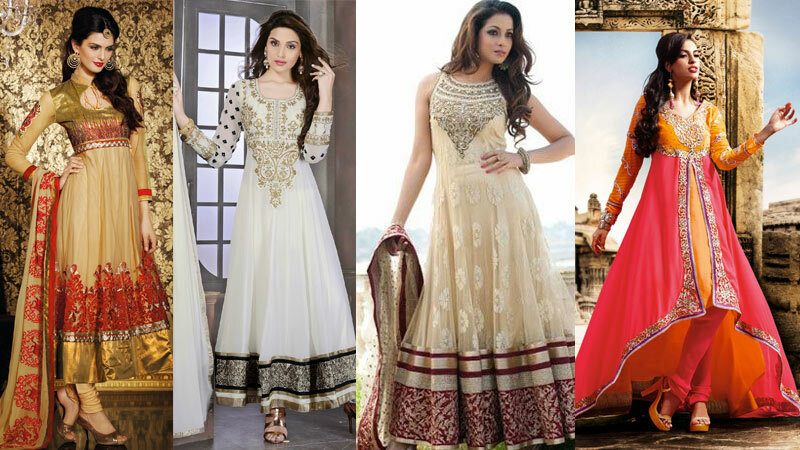 When it comes to attending a wedding as a guest, an Anarkali suit is the best option. It is trendy, elegant and dressy, all at once, without being overwhelming. Pair the outfit with a nice clutch and shiny footwear and you are all set to roll at the wedding.